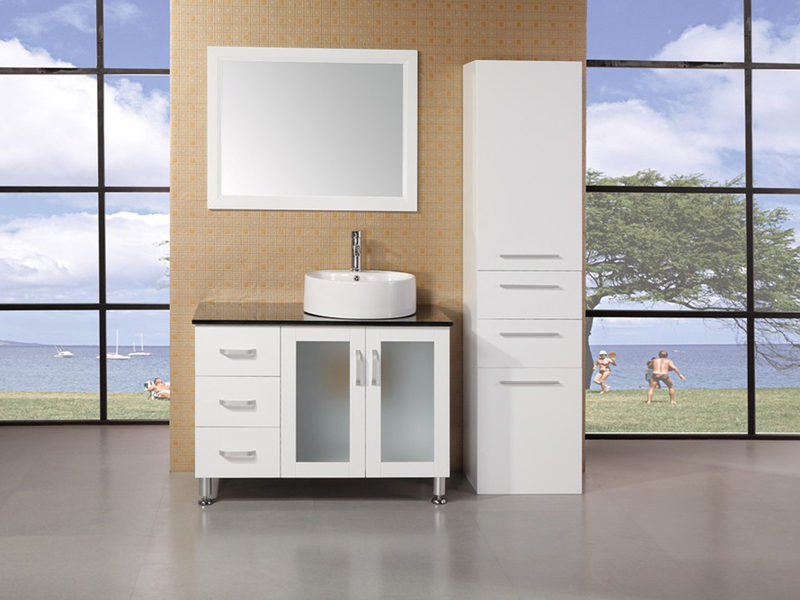 The Malibu Single Vanity has the clean lines and minimalist design you want in a modern bathroom vanity. Not only does this vanity look great, its solid oak construction and water-resistant finish ensure that it will not warp or crack. The black tempered glass counter top adds a touch of contrasts between the white finish and porcelain vessel sink. 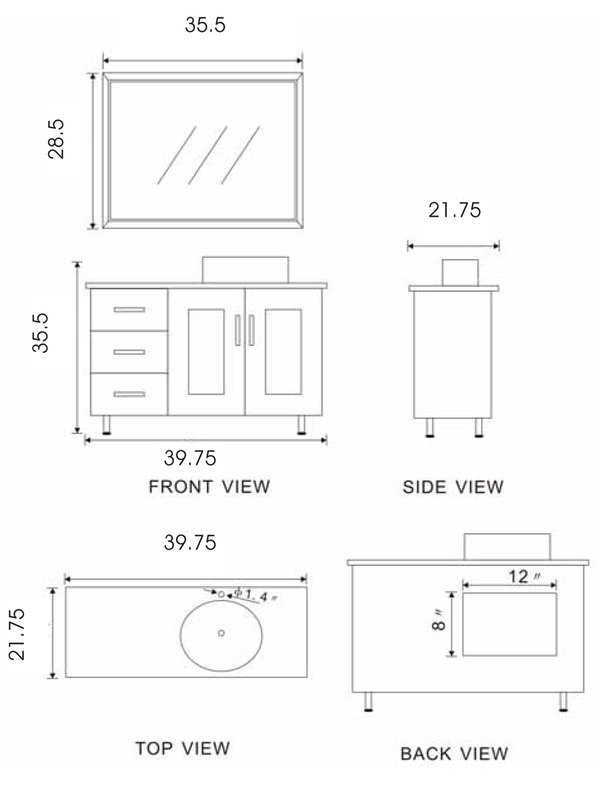 Along with the counter top, three drawers and a double-door cabinet provide amble storage space for bathroom necessities.